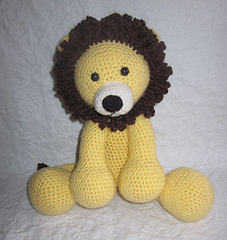 The Adorable Lion is the 4th Adorable Animal in the series. He measures 18 inches from head to foot and is ready to snuggle and play. This is a 13 page pdf file with easy to understand instructions and tons of pictures to help you better understand the pattern.